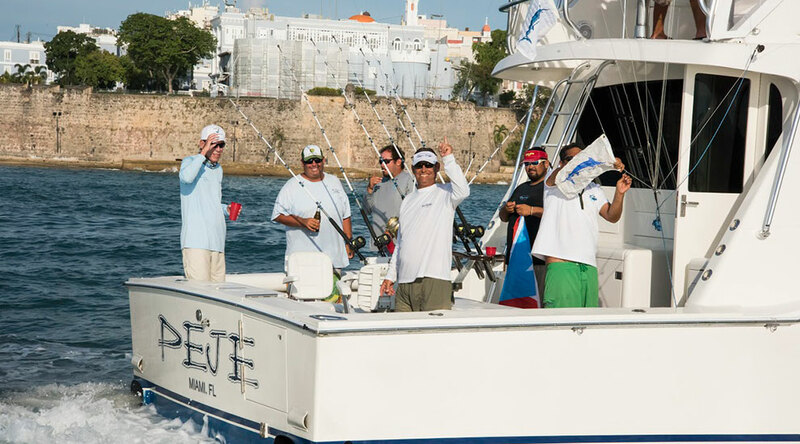 A fleet of 50 boats fished the 62nd Annual International Billfish Tournament of Club Náutico de San Juan, releasing 79 billfish, all of which were caught on 30-pound fishing line. 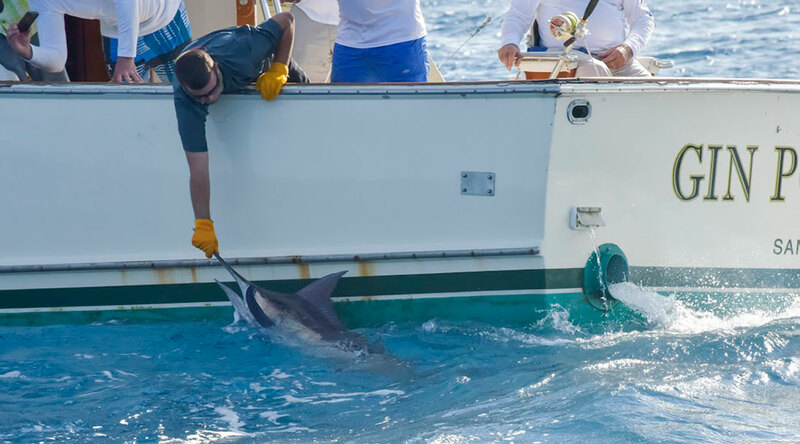 Photo by Mark Smestad / IBT Club Náutico de San Juan. 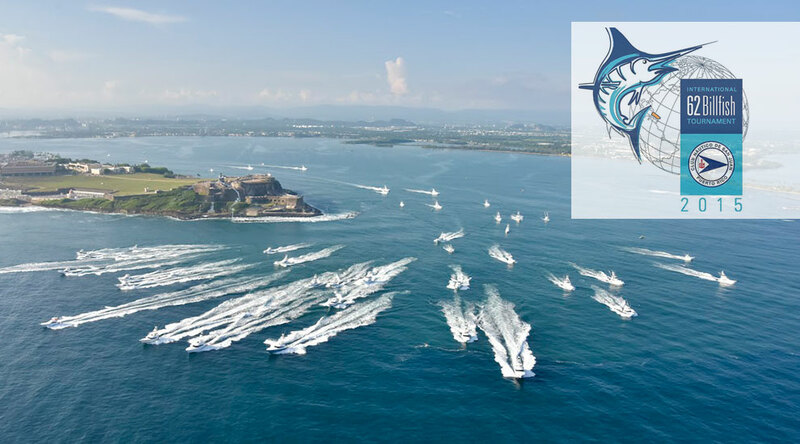 The boats race to the fishing grounds in a Shotgun Start, motoring passed the historic Fort San Felipe del Morro. Photo by Mark Smestad / IBT Club Náutico de San Juan. 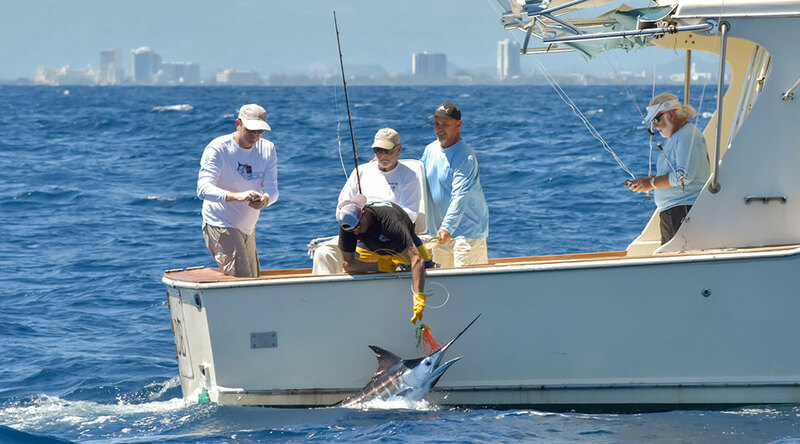 FishTrack sent daily sea surface temperature charts to tournament director Ricky Jaen to help the fleet key in on temperature breaks and find the blue marlin. Photo by Mark Smestad / IBT Club Náutico de San Juan. Most of the bites were in 85- to 86-degree water. Photo by Mark Smestad / IBT Club Náutico de San Juan. 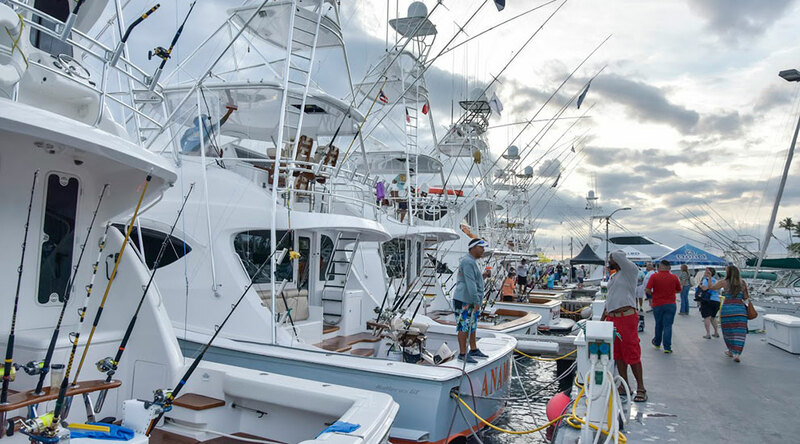 The International Billfish Tournament attracted 196 anglers, representing six countries, who come to enjoy the fantastic fishing and the nightly activities that this event is known for. Photo by Mark Smestad / IBT Club Náutico de San Juan. There are always smiling faces to be found at the IBT. Photo by Mark Smestad / IBT Club Náutico de San Juan. 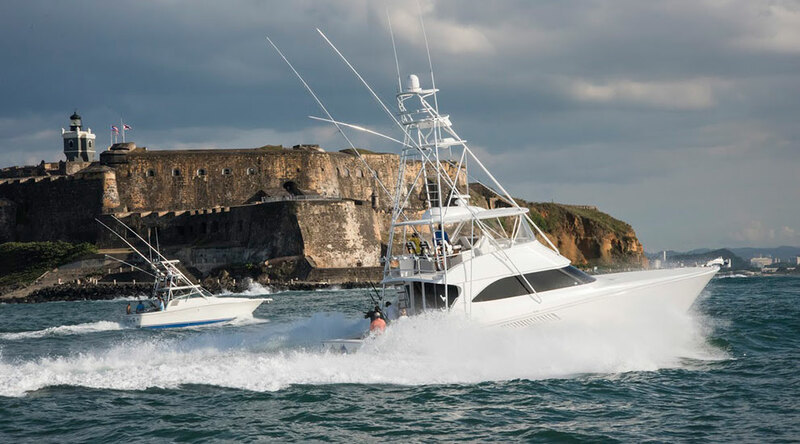 The water quickly drops off off the coast of San Juan, Puerto Rico, and you can catch multiple blue marlin within sight of land. Photo by Mark Smestad / IBT Club Náutico de San Juan. 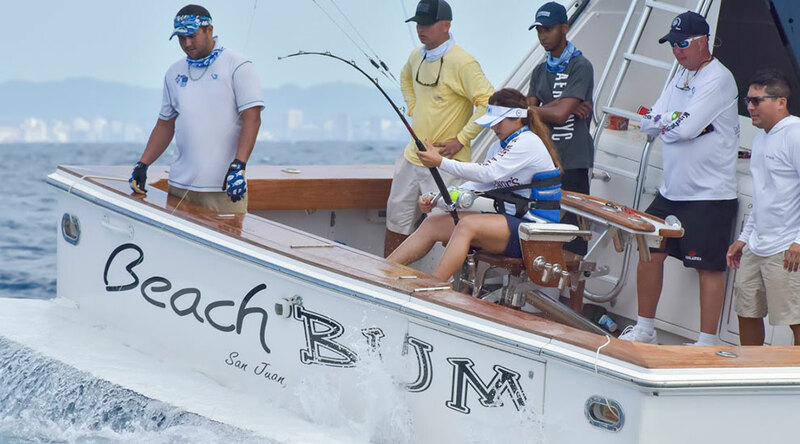 This year's IBT was scheduled around the full moon, which always helps entice the blue marlin to bite in the Caribbean. Photo by Mark Smestad / IBT Club Náutico de San Juan. 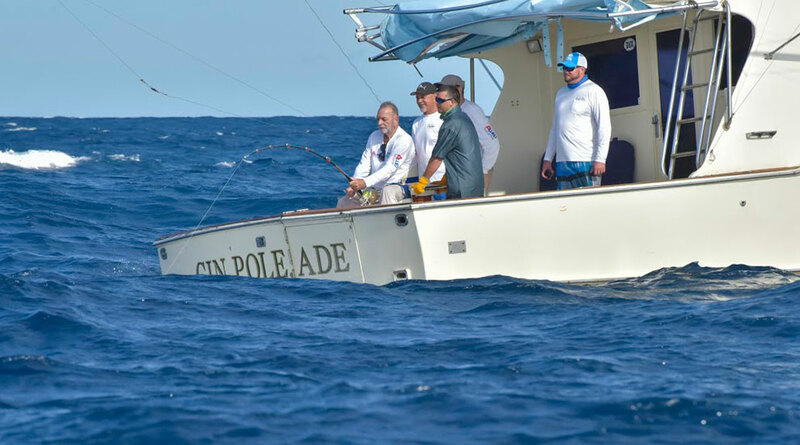 The crew on Gin Pole release a blue marlin to get on the scoreboard. Photo by Mark Smestad / IBT Club Náutico de San Juan. 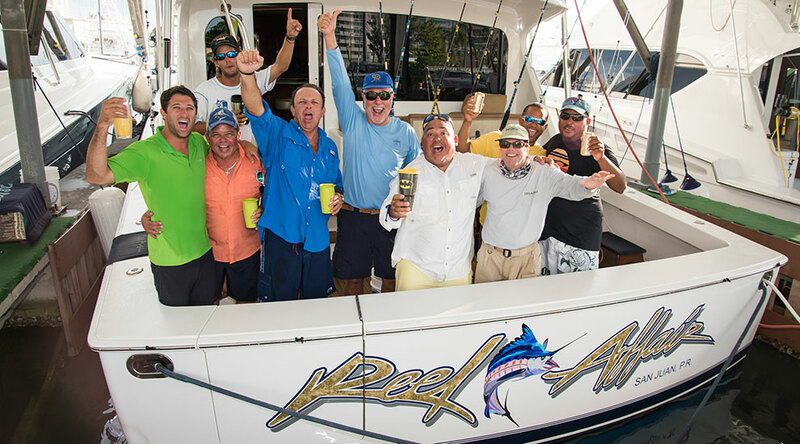 The crew on Peje released five blue marlin on the last day of competition, bringing their total to seven marlin for the event and the top spot overall. Photo by Mark Smestad / IBT Club Náutico de San Juan. 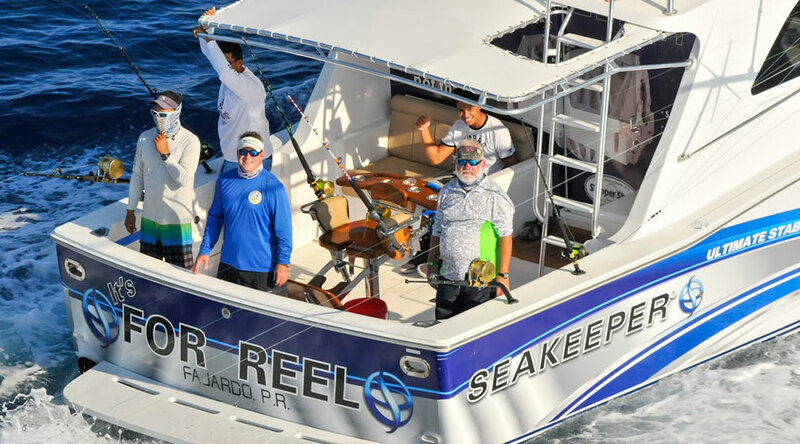 Carlos Ramirez' Reel Affair and Rafael Marti's Pez Piedra, each released four marlin to tie with 1,300 points, winning second and third place, respectively. Photo by Mark Smestad / IBT Club Náutico de San Juan. 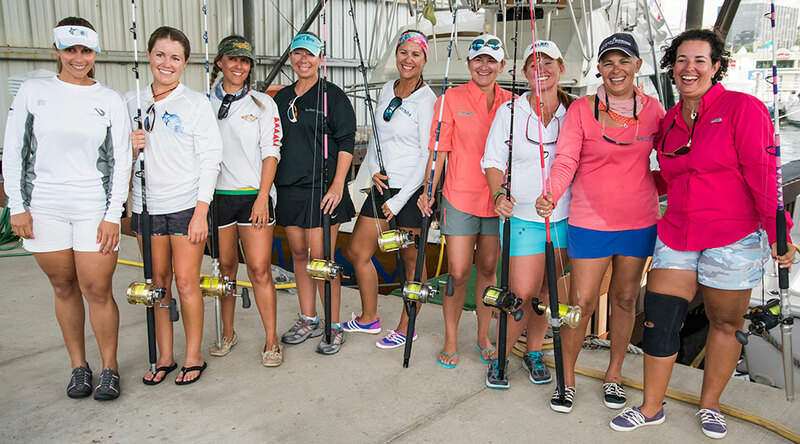 Ten lady anglers fished the event, giving the boys a run for their money. Photo by Mark Smestad / IBT Club Náutico de San Juan. 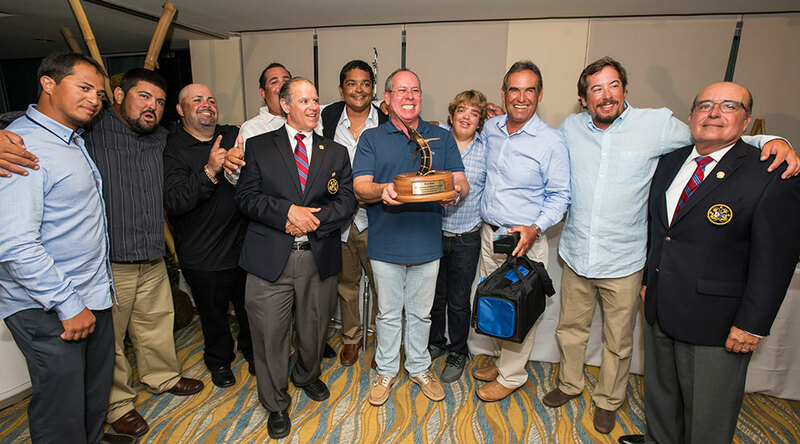 Peje, owned by Carlos García, amassed 2,275 points to win top honors in the Boat Category. Photo by Mark Smestad / IBT Club Náutico de San Juan. 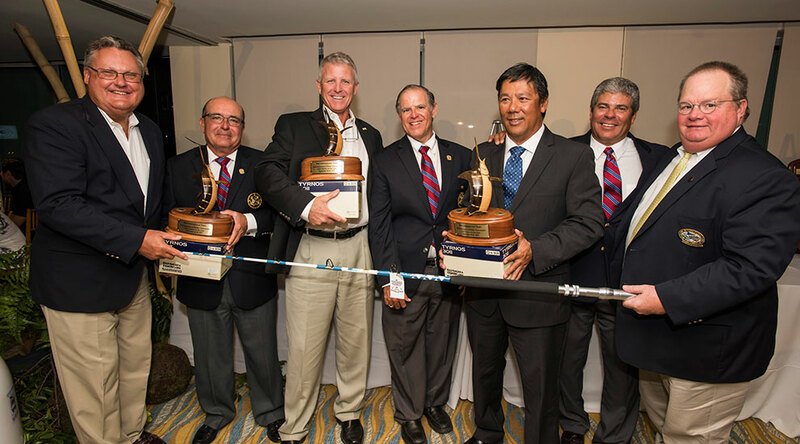 In the International Team Division, Team United States 07, with marine artist Carey Chen, John Moore and Andy Wilson, scored 975 points to win top honors, followed by a Venezuelan team with Victor Bennaroch, Iván Casanova and José Diaz Umpierre. Photo by Mark Smestad / IBT Club Náutico de San Juan.